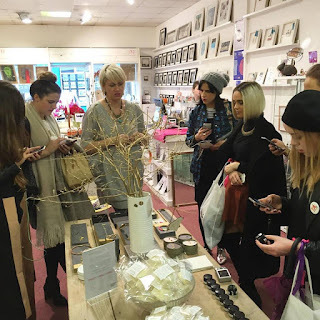 On a relatively mild weathered Saturday 7th November I was delighted to be invited as part of the inaugural Galway Fashion Trail. 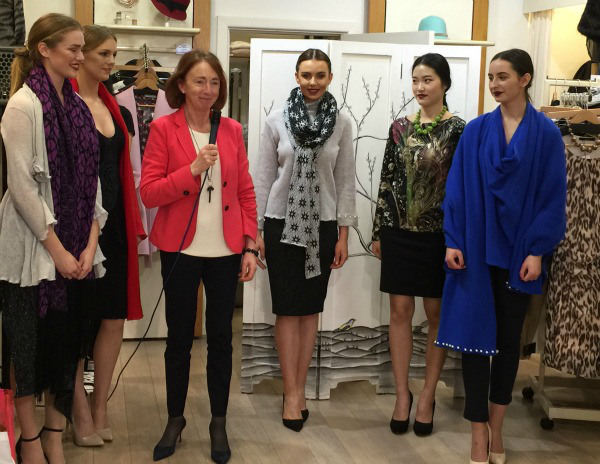 The event organised by Galway Now Magazine saw retailers throughout the city hosting fashion shows to highlight a Galway Designer and modelled by Catwalk Modelling Agency. 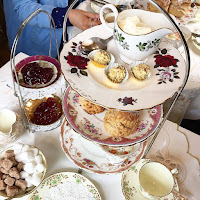 The day started in the beautiful An Cupan Tae where a host of invited bloggers met for breakfast to receive their goody bags which included treats from lots of the businesses involved to get them started on their day of blogging in Galway. The fashion shows began in Collette Latchford showcasing Heather Finn knitwear, then on to GOSH shoes and the Hatshop to check out their great winter collections, followed by My Shop Granny Likes it!! where there is a wide variety of Irish Designs on show. The next Fashion Show was at The Treasure Chest, complete with the Christmas Store looking like Lapland. You could spend hours just browsing through the beautiful array on offer. Upstairs they stock some of the leading labels in wedding occasion fashion and ladies wear, the guests were treated to the fashion show. Highlighting Milliner Suzie Mahony Designs, my designs are stocked in store and I was delighted to showcase my designs for the event. My recent collection from London Fashion Week was displayed beautifully on the Shop Street Window for the event. 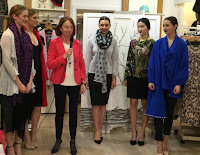 Hartmanns Jewellers showed us their amazing pieces from Natasha Heaslip Galway Designer. Selfie time with the fab Catwalk Team!! Further down Shop Street guests and bloggers were treated to shows at Anthony Ryans, PIA, MUSE by me, The Kilkenny Shop and Willow. Brilliant to see some new boutiques in Galway stepping up and showing off the great collections they have to offer. We even had some street Fashion shows!! CASK on Middle Street was the scheduled and much needed stop for lunch to catch up on the tweeting and social media!! and a visit to Cloon Keen Atelier Parfums was also enroute. The Galway Fashion Trail wrap party was hosted by The House Hotel where everyone had a well earned drink after a fabulous day of Galway Fashion and Designer Showcases.